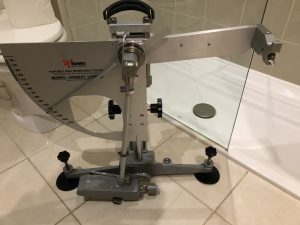 Slip Safety Services is offering 10 UK-based hsk-knowledge.com readers a free of charge slip safety surveys (normal value £500+VAT), including the HSE-approved pendulum test. Quote HSK2019 to redeem this offer. 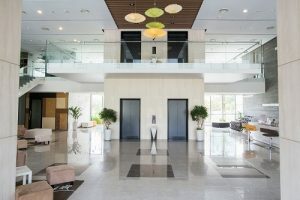 Slip Risk in Hotels – What you can do to protect your guests, staff, and business’ reputation and costs! Slips are the biggest cause of insurance claims in the hotel sector. Analysis by specialist hospitality and leisure broker James Hallam shows an average of 35% of insurance claims by volume are slips, trips and falls but by value this increases to 65%. Remembering that according to the Heinrich Triangle there are normally 300 near misses for every serious accident, there is a huge potential cost to every single hotel. General Managers, maintenance managers, engineers, head chefs, spa / leisure managers and housekeeping managers should all be aware of this risk and take action to mitigate it. Most stakeholders do not realise that there are simple ways to reduce your slip risk by a factor of 50,000… see 70% fewer accidents… and thereby save £100,000’s on costs. The eureka moment is often the knowledge that you can actually scientifically measure how slippery your floor is. As with anything, if you can measure it, you can manage it. 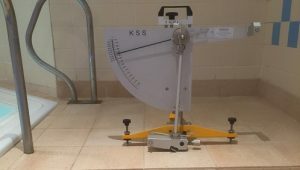 The HSE uses the pendulum test for this (and in any enforcement or prosecutions it makes). The HSE says that floors should achieve a PTV of 36+ in their intended end use. Critical to this therefore is understanding which of your floors are foreseeably wet and therefore need to achieve this number in both wet and dry conditions. If you can ensure your floors achieve PTV36+ in wet conditions versus PTV 24 then you have 50,000x less risk! 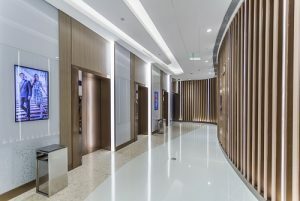 There are many prone environments for a hotel’s stakeholders to contend with; some are quite distinctive in the sector and others pose unique challenges. A 3* chain hotel was seeing a trend of slip accidents in its bath tubs: just under 3 incidents were being reported per week across the c.100 rooms. 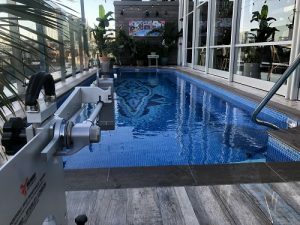 In the past it had experimented with offering mats, but had realised that these produce their own issues: relying on guest intervention and introducing a cleaning and hygiene challenge. Further, the “anti-slip” circular bobbles on its tubs were, it felt, not working. It carried out anti-slip treatments to the bath tubs and in the 12 months following this, reported accidents fell from c.3 per week to 7 in the whole year, a reduction of 85%+. Taking action had reduced the hotel’s exposure from £1.5m per year (156 potential claims at £10,000 per claim) to only £70,000. Getting a slip safety survey done is clearly something that all hotels should strongly consider.